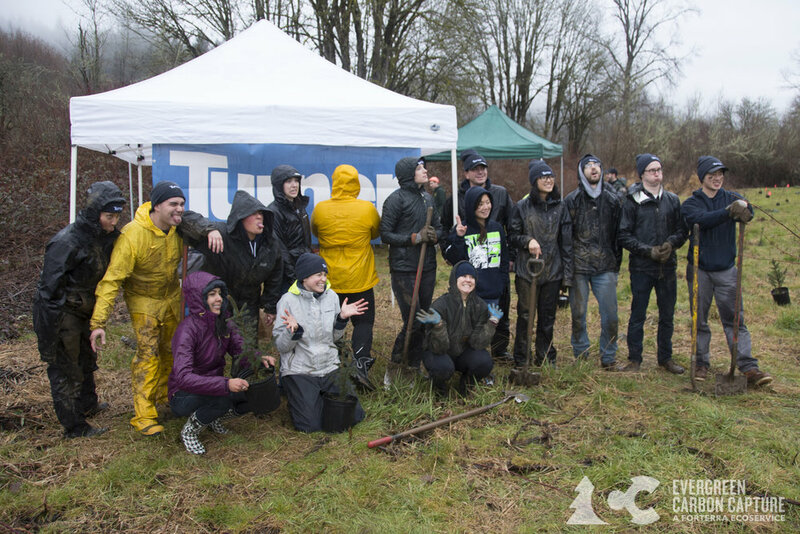 On May 14th, Sound Salmon Solutions, Hatchery volunteers, and Washington residents helped release 12,000 Coho Salmon into Swamp Creek near Logan Park in Lynnwood. These are a portion of the original 80,000 Coho that were raised in the rearing pond after hatching from their incubation trays. The remaining Coho will be released at future outplant events. Thank you to the estimated 200 people that showed up - your effort helps us to preserve salmon in our watersheds! 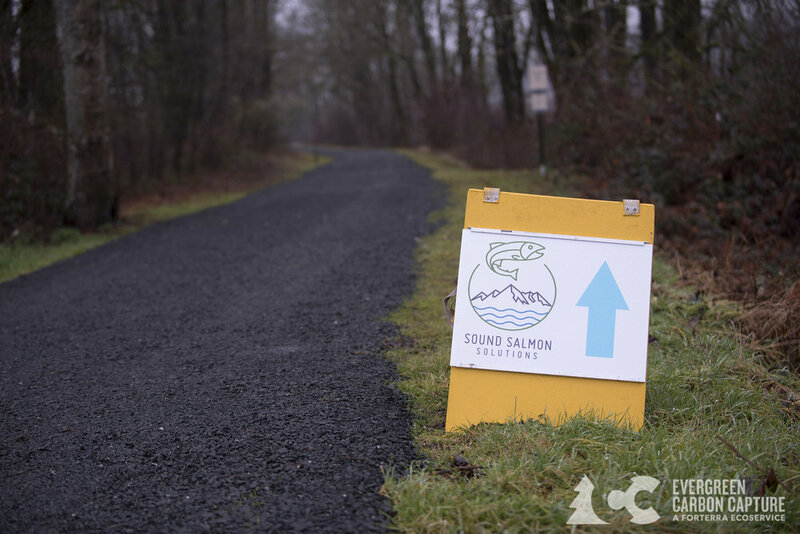 Last Saturday, December 16th, Edmonds' Willow Creek Hatchery began the journey for 80,000 coho salmon. The fertilized eggs were carefully transported from the Issaquah Salmon Hatchery. Once back to the Willow Creek Hatchery, volunteers and members of the Students Saving Salmon club from Edmonds Woodway High School arrived to observe and help begin the incubation process for the coho eggs. After carefully rinsing the eggs in iodine to help prevent bacterial infections, the eggs' weight was measured to accurately divide them up into incubation trays, which recreates a salmon egg's nest, or redd, with layered "gravel-like" mesh and stream water. For more information, check out MyEdmondsNews' article about the event by Larry Vogel. Food webs can be tricky things. If a top-level predator is suddenly killed off, then this could cause an unhealthy change in other trophic levels. For example, if a fatal disease spread through a sea urchin-eating starfish population, then this could lead to a sudden spike in sea urchin abundance, who could then in turn could wreak havoc on their source of energy - kelp beds. On the other hand, what would happen to a food web if a top-level predator's numbers steadily increased? A recent study looked at the consumption of Chinook salmon in the past 40 years by killer whales, harbor seals, California sea lions, and Stellar sea lions, and found that it has dramatically increased! Previously, the question had been asked: why had Chinook populations been decreasing in the Salish Sea despite decreased numbers being caught and ongoing salmon recovery efforts? This paper gave us a possible unexpected answer: the increase in Chinook salmon consumption by marine mammals had offset salmon recovery efforts. Increased consumption of Chinook may have dangerous consequences for our Southern Resident killer whale populations since 80% of their diet is Chinook, and because they have a much smaller migration range than Alaskan and Canadian killer whale populations. Obviously, there is no simple solution to the intertwined and sometimes conflicting marine mammal and salmon recovery efforts. Further research on how salmon hatcheries affect consumption rates, or if killer whales have preferences for wild or hatchery salmon may shed more light on this conundrum. For more information, check out these articles from the Seattle Times and the Puget Sound Institute. Looking for environmentally-fused fun and entertainment? Join Forterra on October 26th from 6-9 PM for a fun-filled night of performances, stories, and music from Pacific Northwest local artists! As part of their Voices of the Region initiative, this event is a great opportunity for listening and reflection from community members, environmental enthusiasts, and environmental experts about local or global environmental topics. This event is a celebration of Forterra's newest edition of Ampersand, a biannually published magazine containing essays, short stories, journal reports, and art about people and the place that we all live in - our natural and man-made environment. Listen, mingle, and get your informed citizen on! This story map is a brilliant primer on the impacts of climate change on salmon, check it out! SSS in the Local News! And our 2nd Annual Polar Plunge in the Everett Herald! We could not accomplish what we do without the partnerships we forge with other organizations. 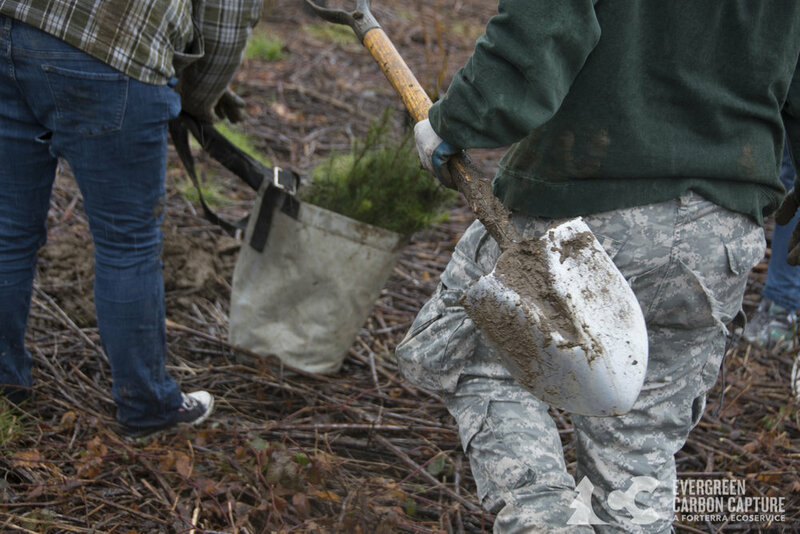 Together we leverage resources to provide solid ground and momentum to habitat restoration. Our participation as a Field Partner for Forterra's Evergreen Carbon Capture program on a rainy, cold Saturday along the Snoqualmie River exemplified bringing together the complementary strengths of two nonprofit organizations, SSS and Forterra, with the commitment of local businesses Turner Construction, Nordstroms, GLY Construction, and Grist Magazine and their employees in addressing climate change through carbon capture. 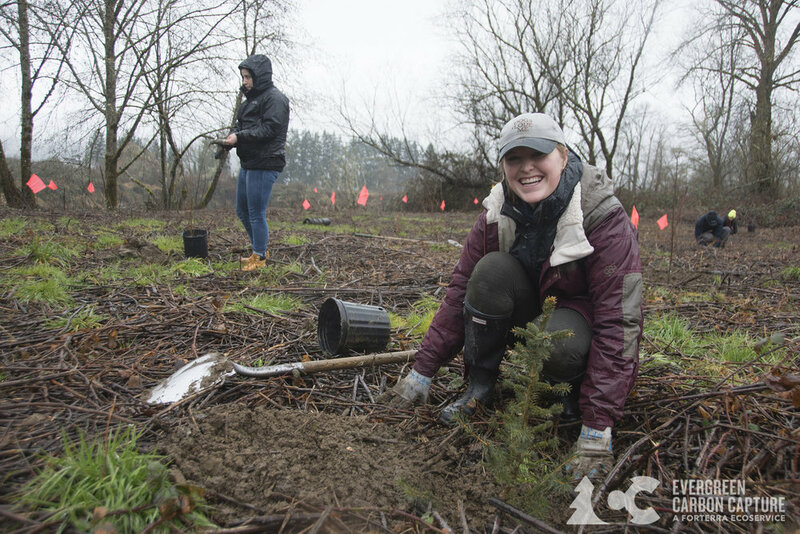 670 native evergreen trees we're planted in the Stillwater Natural Area which over their lifetimes will capture over 3,300 tons of carbon from the atmosphere. That's capturing the carbon output of 400 average Americans for one year! 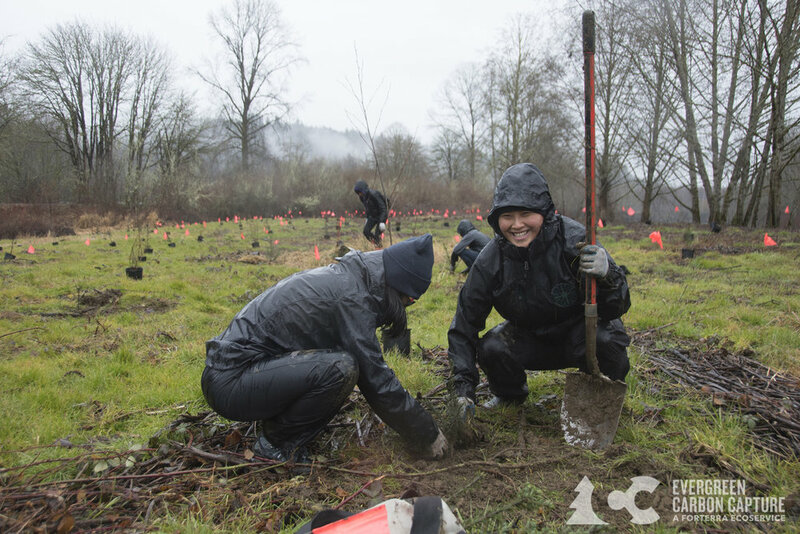 We thank the 41 volunteers and the SSS and Forterra staff who made this event a joyful, fun day in the February rain! Let's do it again! 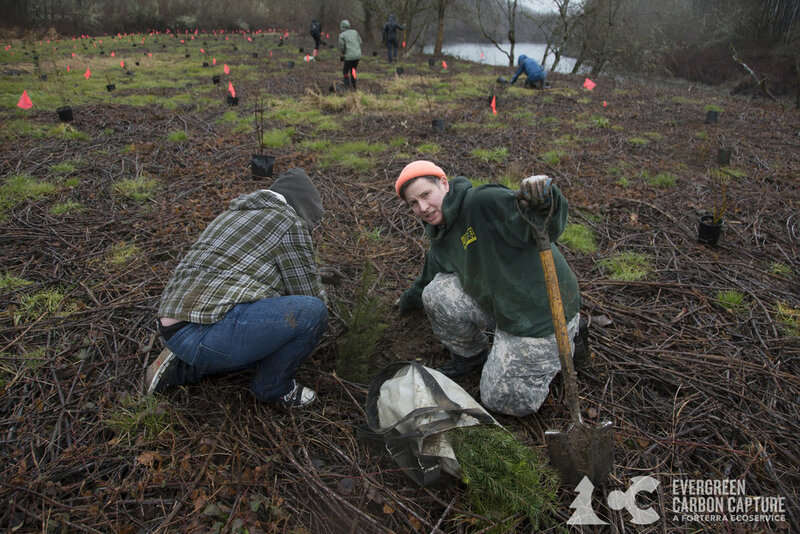 Special thanks to our funders Washington Department of Ecology and Washington Department of Fish & Wildlife for making this project possible! Winter SSS Education & Engagement Update! 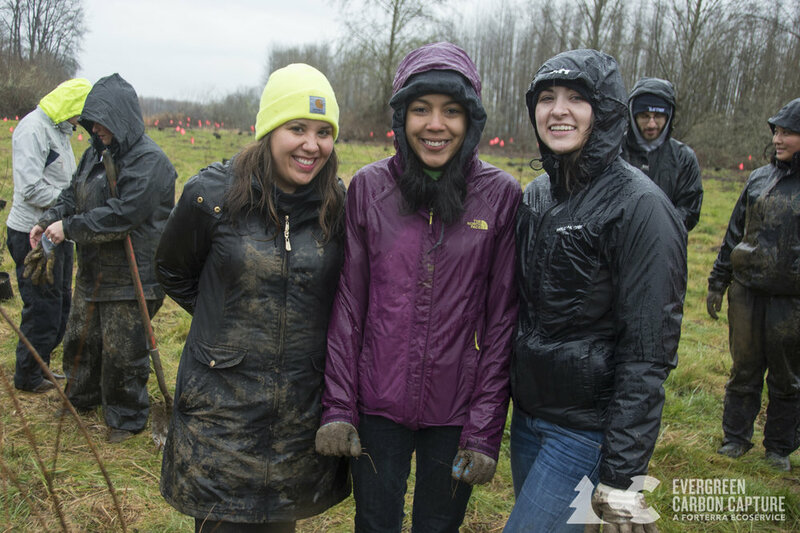 As 2016 comes to a close, we take time to reflect on an amazing year of getting out into the communities we serve and educating and engaging with both youth and adults. 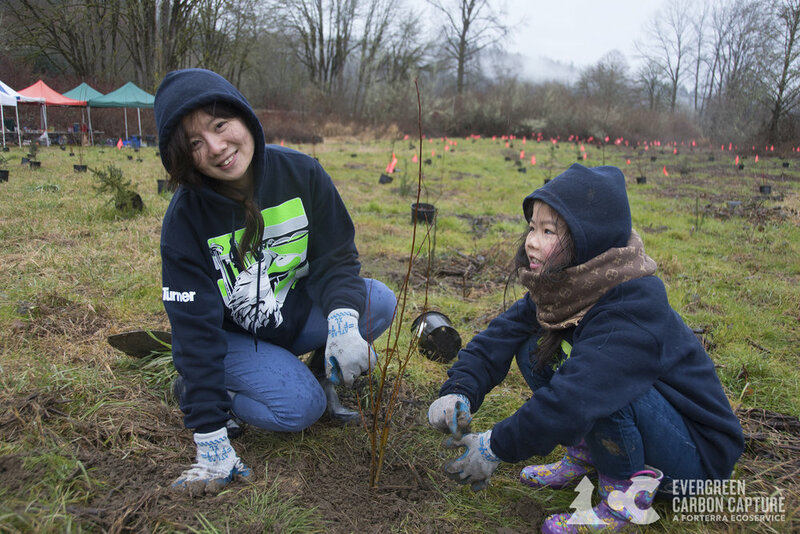 Our year end totals for education events include teaching 2,325 students, planting 1,858 trees, and leading environmental education lessons for 4,577 hours! We also attended 40 community outreach events and got the chance to speak to 1,337 people. We know that our education program isn’t just about the numbers. 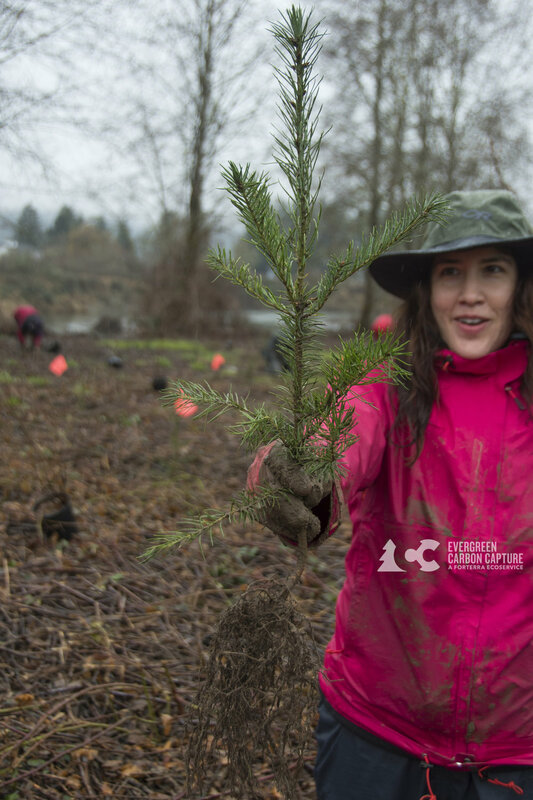 The people we serve and get the opportunity to educate about salmon, clean water, and protecting our beautiful watersheds is at the heart of the work that we do. We feel so lucky to have those opportunities, and believe deep down that it is good and important work. Thank you all for another fruitful year. Speaking of 2017, we have some big changes happening in January in the education department as we say a bittersweet goodbye to our beloved and highly-talented Education and Engagement Project Coordinator, Kelley Govan. She leaves for a yearlong adventure and learning opportunity in Costa Rica. We are so thrilled for this next chapter in her life. She leaves behind a strong legacy at SSS, and has been a leader in helping to develop a strong education program over the last three years. We will greatly miss her, but wish her luck in Costa Rica. Upon Kelley’s departure, we are excited to welcome Kelly Frazee onto our SSS team as the new E&E Project Coordinator. She comes to us after spending ten years at the Woodland Park Zoo in their education department. Kelly is a well-experienced educator, and we are supremely confident in her abilities to take over the teaching duties and help to continue to grow and develop our education programs. Welcome Kelly Frazee! 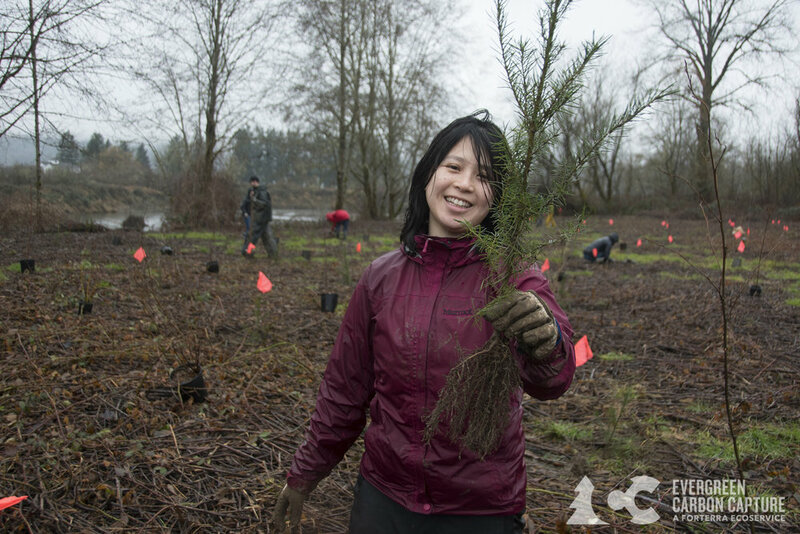 In January, we also welcome Kelly Bounxayavong, a UW Program on the Environment Capstone student who will be spending her winter quarter as our Education and Engagement Intern. Welcome Kelly Bounxayavong! And lastly, Martha Moritz, our E&E Program Coordinator is having a baby. She welcomes a little girl in February 2017, and so while she is on maternity leave, we are so fortunate to have the highly-capable Carolyn Alfano taking the helm in the Education department. Previously, Carolyn has run the Rare Plant Care and Conservation program at the UW’s Botanic Gardens and we are happy that she is bringing her strong program management skills to SSS while Martha is home with her new baby. We are looking forward to what 2017 will bring. Happy New Year! 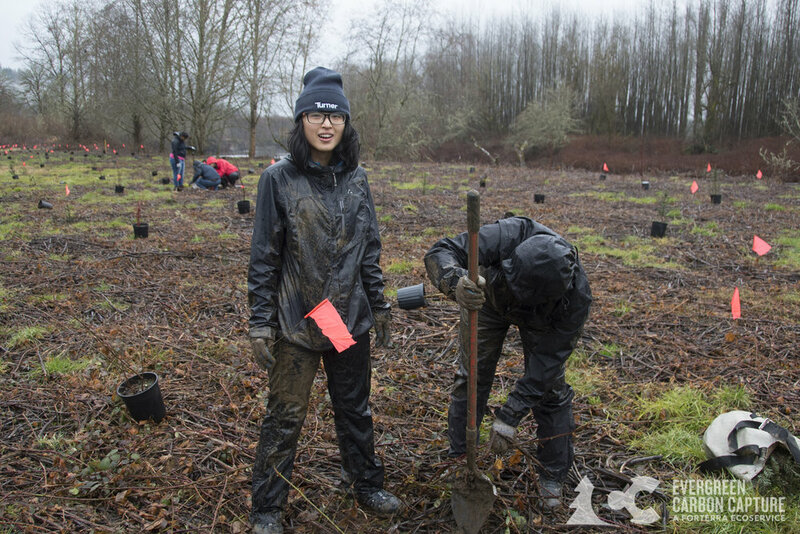 The Everett Herald just published an article about our Edmonds Watershed Stewards Program that works with the Students Saving Salmon Club at Edmonds Woodway High School in Edmonds WA. You can read the article here. 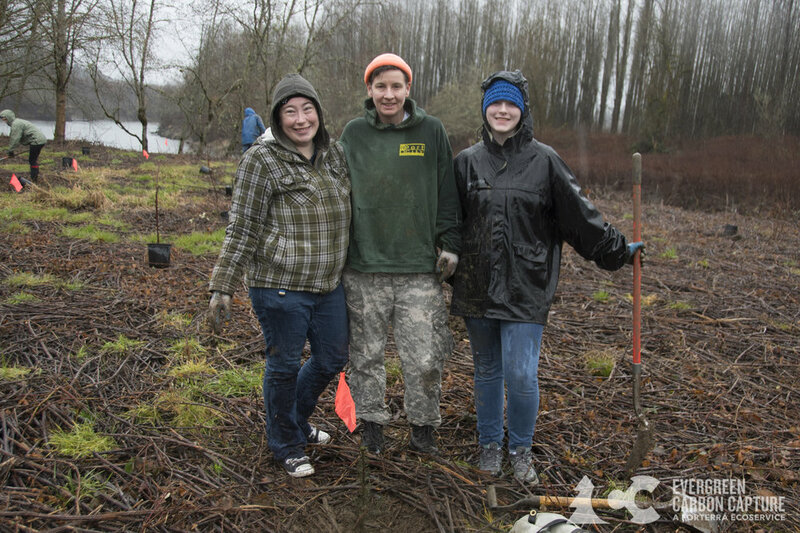 Support for the Edmonds Watershed Stewards Program was provided to Sound Salmon Solutions by the Puget Sound Stewardship and Mitigation Fund, a grantmaking fund created by the Puget Soundkeeper Alliance and administered by the Rose Foundation for Communities and the Environment. Spring Education Programs a Success! Wow! What a busy and fun couple of months our Education Team has had. We led field trips nearly every day of the week for two months! Our team of educators taught students in Marysville, Skykomish, Darrington, Arlington, and Edmonds. 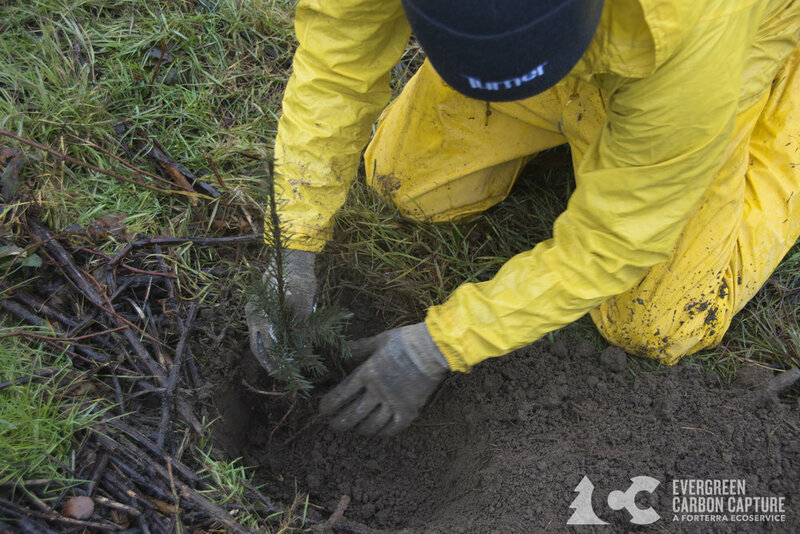 In total, we have taught 1,712 elementary through high school students for a collective 3,318 science education hours and planted 986 native trees and shrubs during 504 hours of restoration service-learning. Over the course of the spring field trip season, we had the privilege of working alongside several of our long-time community partners. These dynamic and important relationships help keep the wheels turning and our projects going. 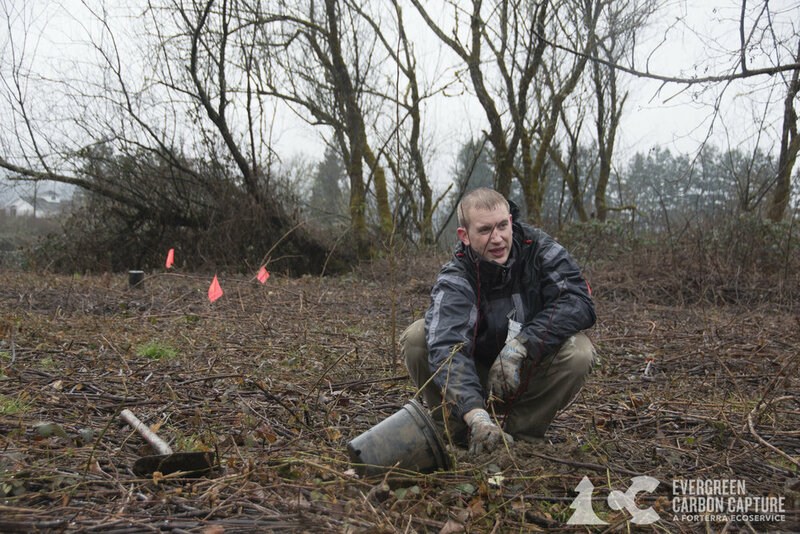 In April, we had several classes from Arlington elementary schools who wanted to do service learning projects, but were lacking an active restoration site nearby. After making a phone call to the City of Arlington, we spoke with Bill Blake-who helped by finding a field trip site for our students. The City of Arlington generously provided trees and SSS supplied the students for a lively field trip! 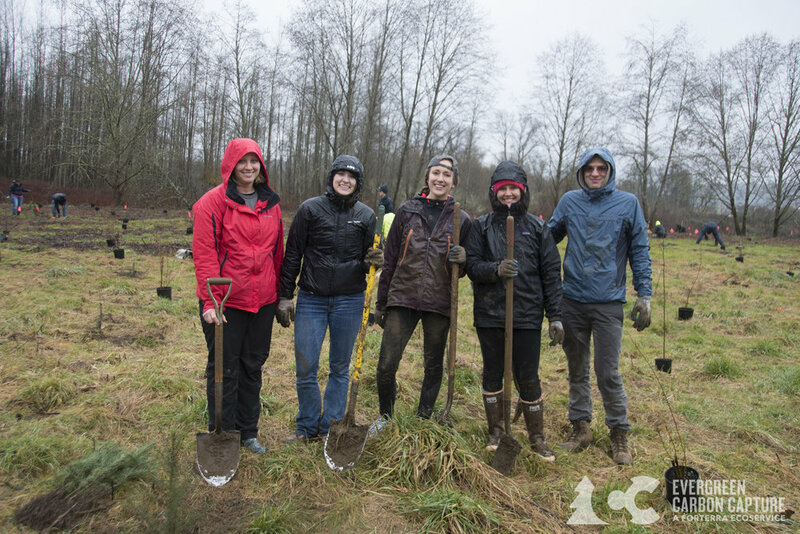 Students helped with a planting project at Country Charm, one of our former habitat restoration sites on the South Fork of the Stillaguamish River. 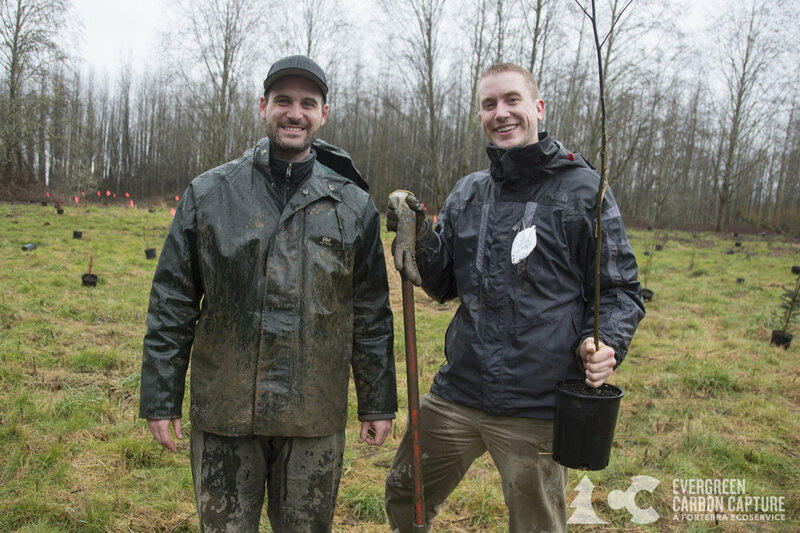 A win/win!We are also grateful for our on-going partnership with the Stillaguamish Tribe’s Natural Resources Department. 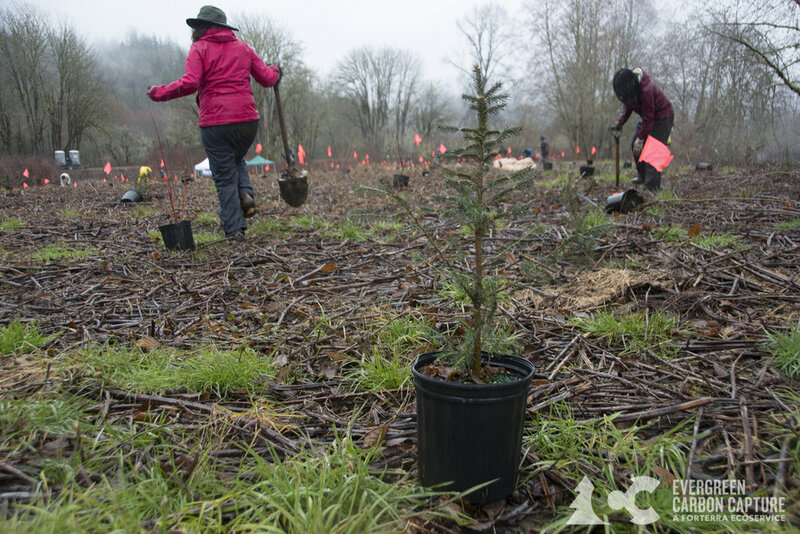 They provide year-long environmental education classes to students attending Darrington Elementary, and have asked SSS staff to assist in implementing both indoor and outdoor lessons. The final lesson of the year took place at Squire Creek Snohomish County Park. We had a great day with the students and discovered it takes at least nine, 4th graders to hug a 200 year old Sitka Spruce tree! One more highlight from this year was hosting a field trip on Maloney Creek in Skykomish with the 4th-12th grade students from Skykomish School. We tested water quality and collected macroinvertebrate samples in order to determine how well the creek is recovering from a major flood event last fall. We are happy to report we found a diverse variety of healthy stream bugs! 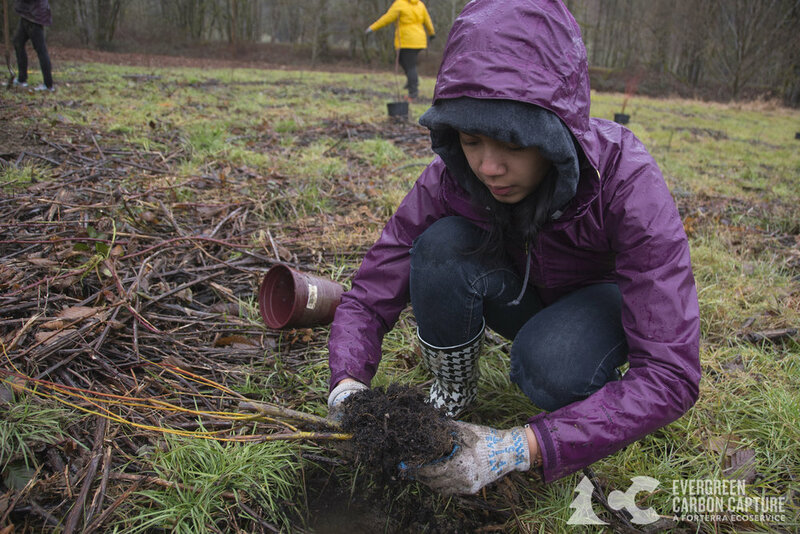 The King County Flood Control District has provided funding for SSS to continue our partnership with Skykomish School for two years, and we are grateful for the opportunity to do this important work! I am continually amazed with our talented education staff who get out there day after day and teach lessons to a diverse audience of youth and adults. Their enthusiasm for working with students and passion for the subjects we teach is what makes our team the best! Kelley Govan, our Education and Engagement Project Coordinator, Kyla Caddey, our WCC Intern, and Laura Schreiber, our superstar Education Volunteer were the key players in closing out the 2015-2016 school year. Thank you for all of your hard work! If you have questions or want to know more about our education programs, please contact Martha Moritz, Education & Engagement Program Coordinator at: martha@soundsalmonsolutions.org.